We also have fat balls, suet and mealworms. There is also a good range of feeders, bird tables and accessories available. Parrot & Small Bird House – We stock a variety of mixes both loose and in pre-pack, every product sold loose is available in 20kg sacks also. We have a large range of treats with prices starting at just 45p . There is a large stock of toys including those useful for the foraging and chewing needs of larger parrots. 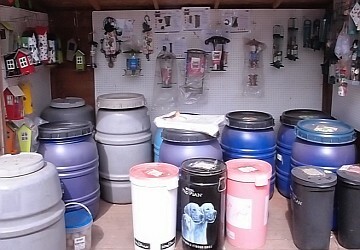 Here are some of the products we stock. Where possible we try to buy in on special deals, so the prices may differ from time to time but we always try to offer the best value.